Food trucks at the International Children's Festival last month. Photo by Tracy Certo. 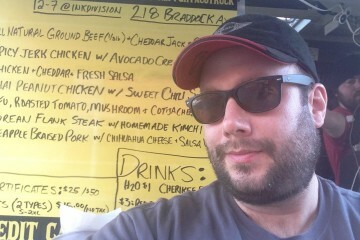 If you are one of the Pgh Taco Truck’s almost 28,000 followers on social media, you know that owner James Rich has been campaigning for changes in the city’s food truck legislation. 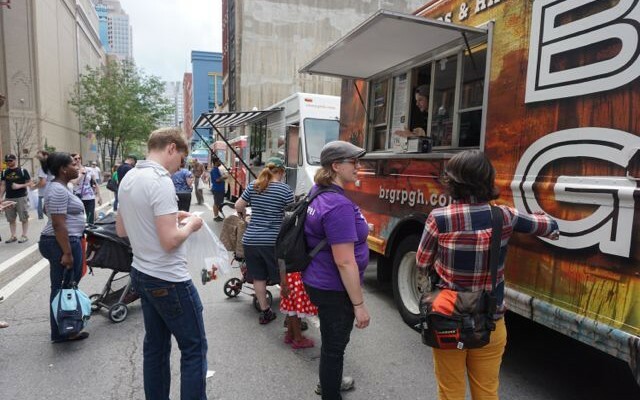 New Pittsburgh residents who have enjoyed offerings from the Pgh Taco Truck, Franktuary, Steer & Wheel and other city favorites may think: food trucks aren’t legal in Pittsburgh? Well they are. Sort of. They cannot park in metered locations. They cannot park within 500 feet of a restaurant that sells similar items. They cannot park for more than 30 minutes. Rich agrees and says that the laws unfairly restrict his source of livelihood. “First, there are more meters than ever before, so it’s hard to find a place to park in a well-trafficked area. I’m even willing to pay twice the meter rates if I have to. “Second,” he continues, “the similar items clause is open to wide interpretation. Who is to say that a taco is not similar to a calzone? It is meat wrapped in dough, after all.” And one might argue that this clause does not apply to brick and mortar restaurants. PGH Taco truck at the Brew Gentlemen in Braddock on a Saturday night. Photo by Tracy Certo. “The distance provision is most controversial and I’m working with restaurant owners and food truck owners to resolve this,” he adds. Megan Lindsey. Photo from Yinzpiration. Statistics do seem to indicate that food trucks’ growth tracks trends in the technology world. The National Restaurant Association’s 2014 forecast shows that food trucks make up one of the fastest-growing sectors of the restaurant industry and a 2012 study by Emergent Research projects food truck revenue to quadruple to $2.7 billion by 2017. In a Forbes article, Venkatesh Rao goes as far as to suggest that food trucks are the new bellwether of the social and cultural condition of an economy. And what he says in his article—“Entrepreneurship used to be about selling pickaxes to miners. 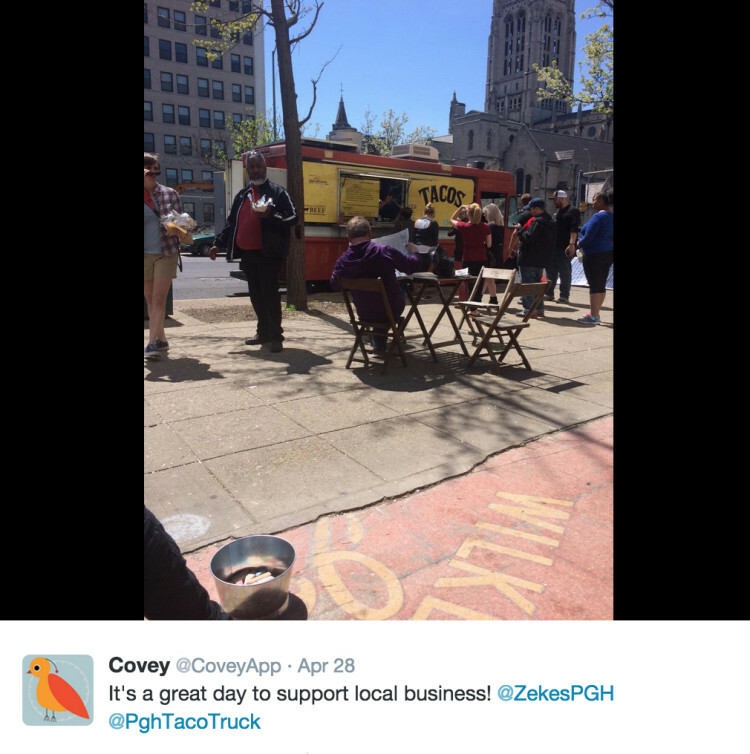 Now it is about selling food truck fare to startup founders”—couldn’t have been a more appropriate caption for the scene around the Pgh Taco Truck as it parked in front of Zeke’s on Penn Ave., the coffee shop of choice in the emerging startup vortex that is East Liberty. So do they hurt existing businesses? That is one of the major concerns. 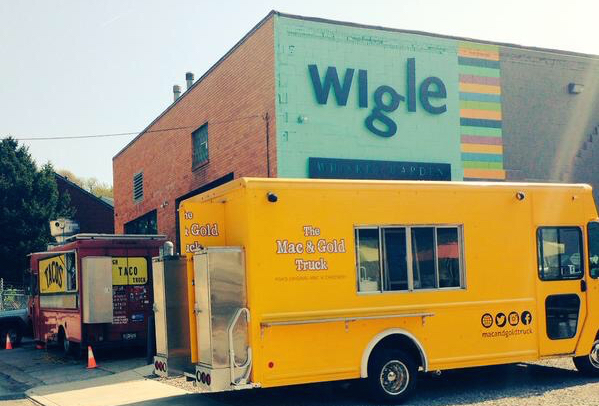 Food trucks bolster the industry in three ways. First, they are an attraction that draws people to neighborhoods thereby increasing the number of customers available to restaurants. 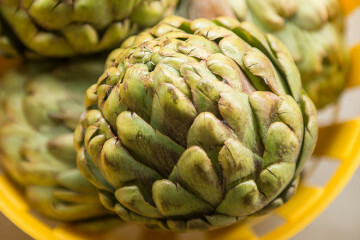 Restaurant owners in Houston, Las Vegas, New York City’s Lower East Side and Chicago’s Maxwell Street have all recognized this and have advocated for benevolent policies that encourage food trucks. Second, food trucks provide restaurants with a cost-effective way to expand and market their brick and mortar businesses. A number of local restaurants, including BRGR and Franktuary, have both food trucks and brick and mortar places for precisely those reasons. Third, food trucks are a great way to incubate new restaurants and test concepts. For example, of The New York Food Truck Association’s 42 members, 40 percent of have gone on to build brick and mortar restaurants. These points are certainly true for Franktuary. “We wanted to expand our restaurant—we just had a downtown location which was very small with not too much cooking equipment. We couldn’t raise the capital for another restaurant. I thought if we get a truck, we can expand our brand and have more people aware of who we were and what we were selling,” Lindsey says. The Pgh Taco Truck took over the kitchen operations of Gus’ Restaurant in Upper Lawrenceville—essentially getting a turnkey restaurant and giving his fans a permanent location to enjoy his tacos seven days a week. Like Franktuary, he will continue operations of his truck as well. The IJ report goes on to dispel another myth—that food trucks have an unfair advantage because of their mobility—by enumerating the many ways food trucks are at a disadvantage vs. restaurants: no seating, no ability to serve high-margin liquor, small kitchens and therefore limited customers, and in the end, mobility can be a disadvantage because of the simple fact that customers won’t know where they are next. Many food trucks, in fact, rely on social media to give their customers updates on their locations. What about sidewalk congestion? The report agrees—if you count the one second in additional pedestrian travel time that results from a food truck being parked on the block. 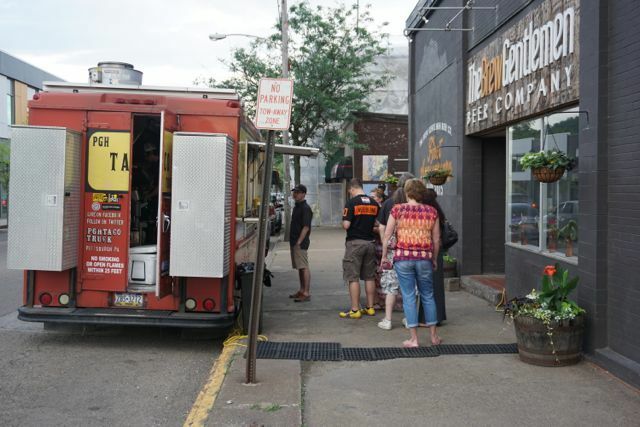 In Pittsburgh, there are about a dozen food trucks and operators have formed an advocacy group called The Pittsburgh Mobile Food Coalition. To date, the group has collected over 3,600 signatures in support of changing the City’s food truck legislation. Proponents of change to the food truck laws are not suggesting that all levels of regulation be repealed. 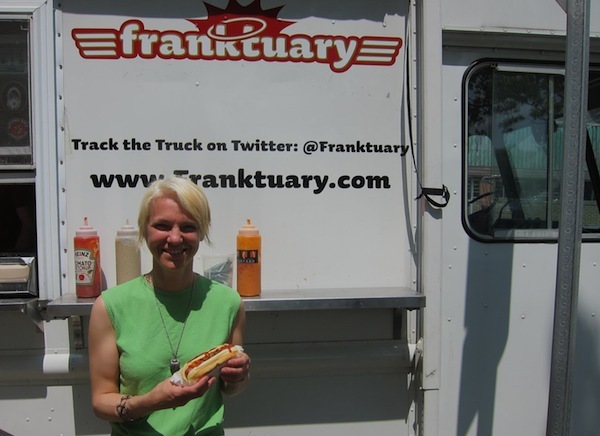 “Food trucks operate within the health department’s requirements—which are very strict but do a good job of ensuring safety,” says Lindsey. Walsh adds that “it is appropriate for the government to protect the public’s health and safety, through regulations concerning food trucks’ effects on traffic congestion and the trash they generate.” But she criticizes the preferential nature of Pittsburgh’s current laws.